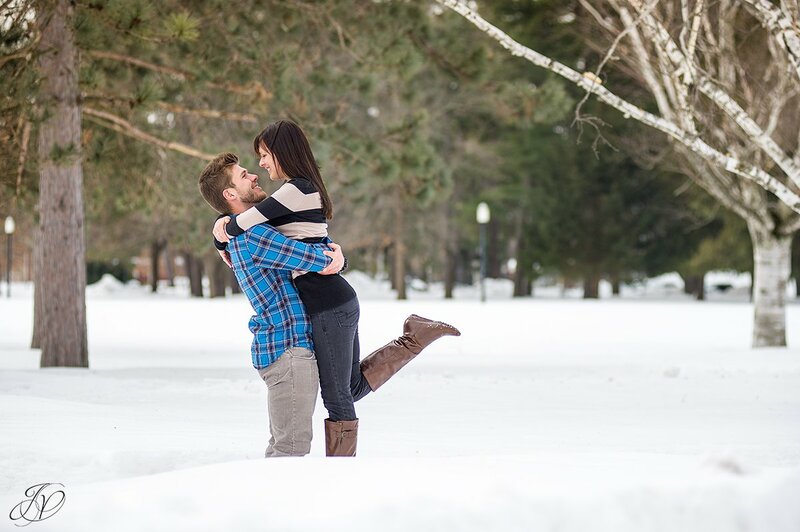 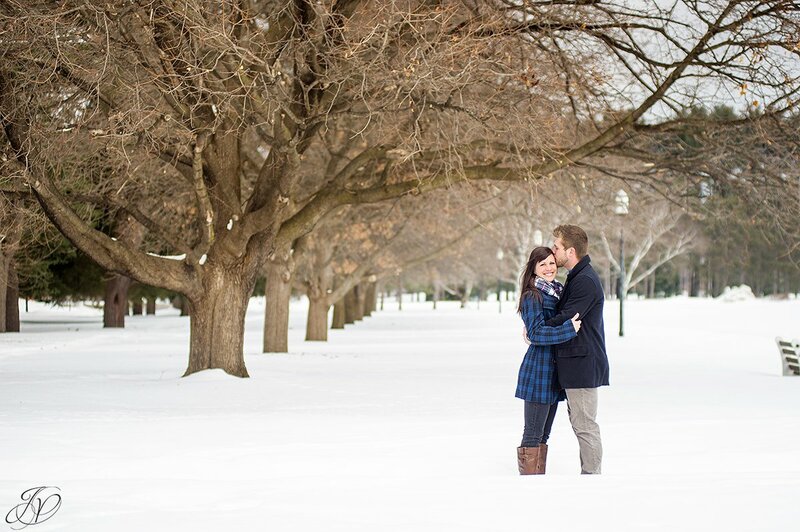 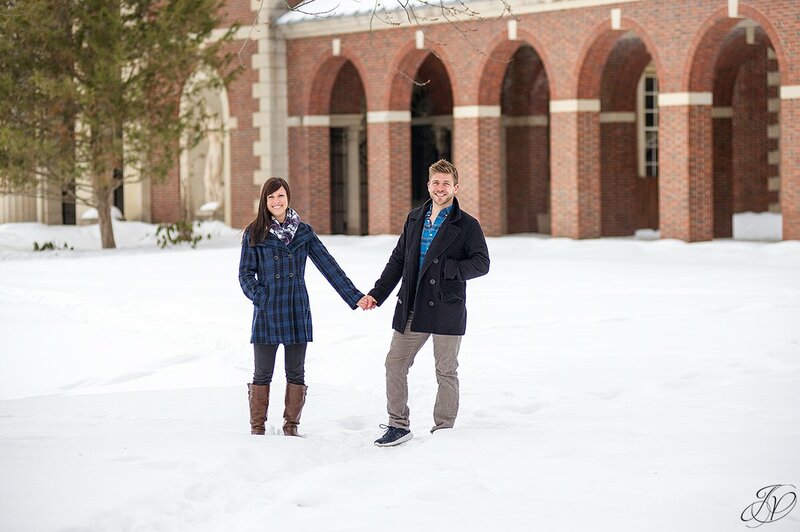 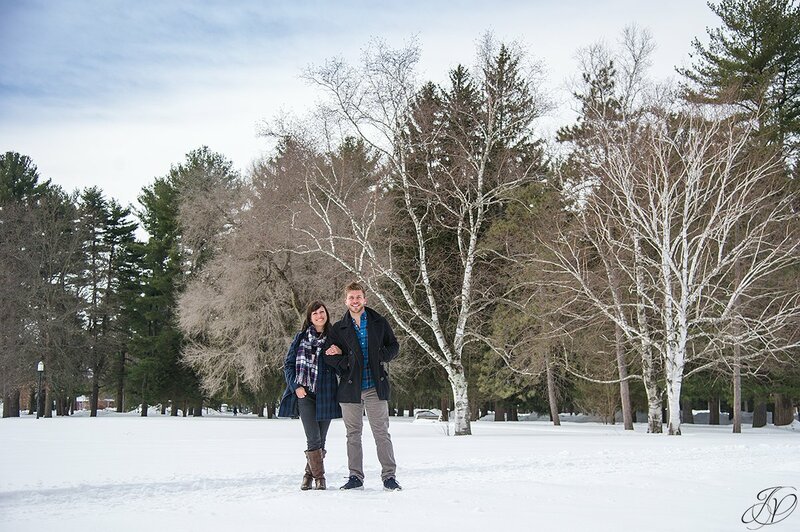 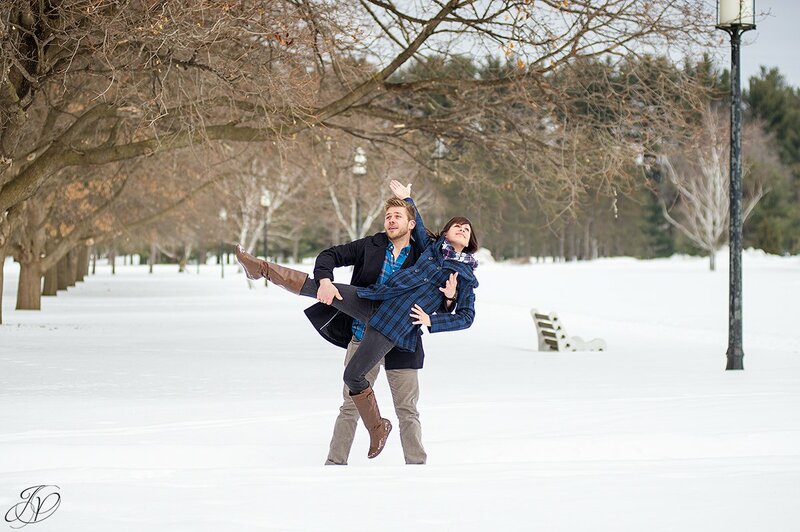 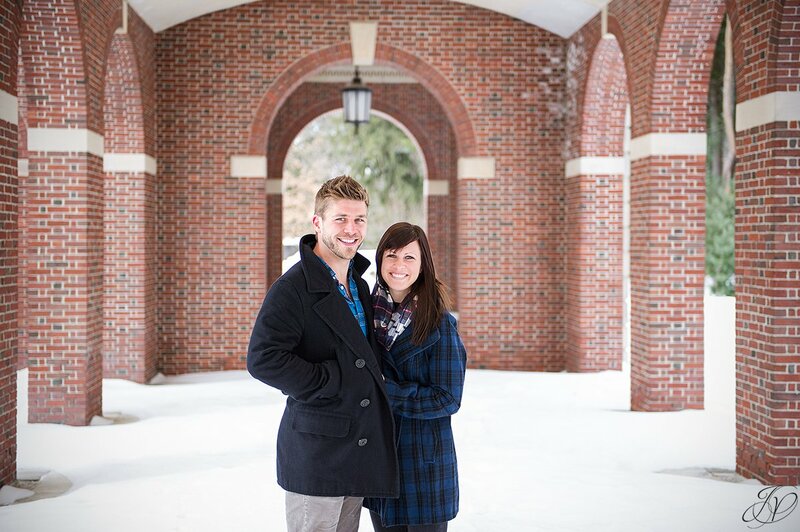 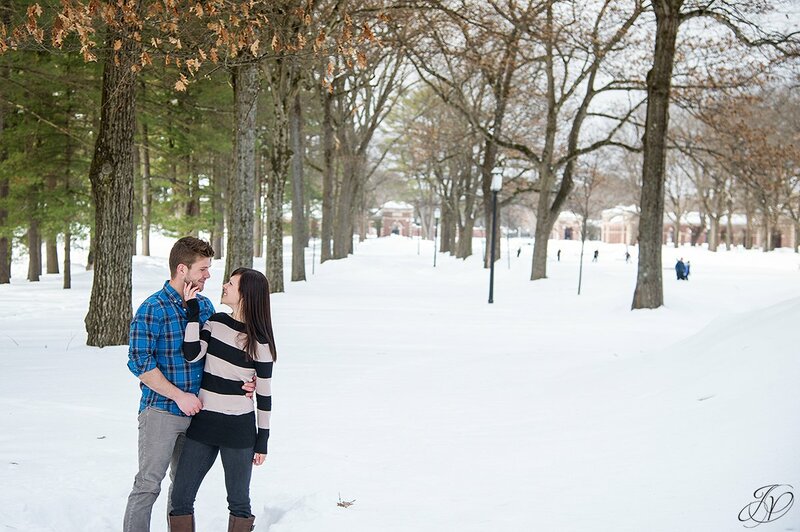 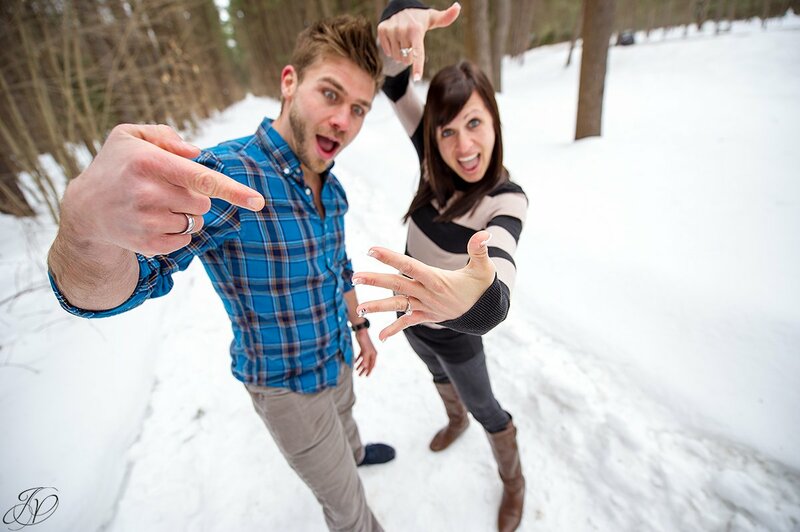 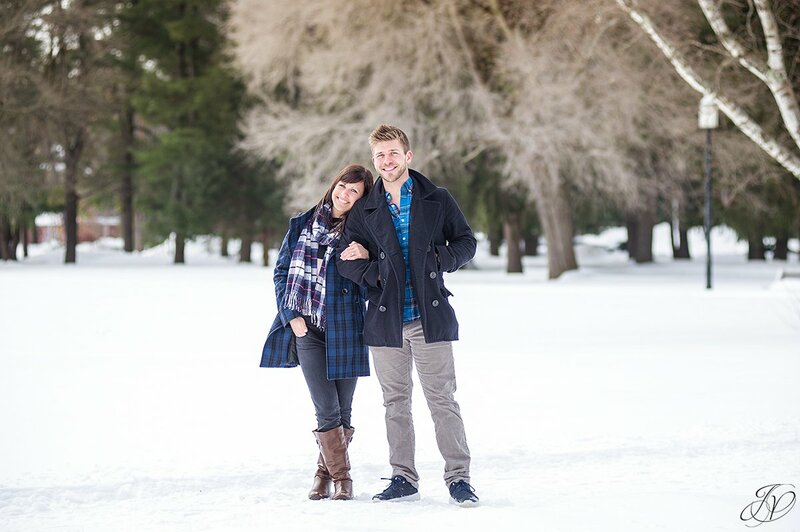 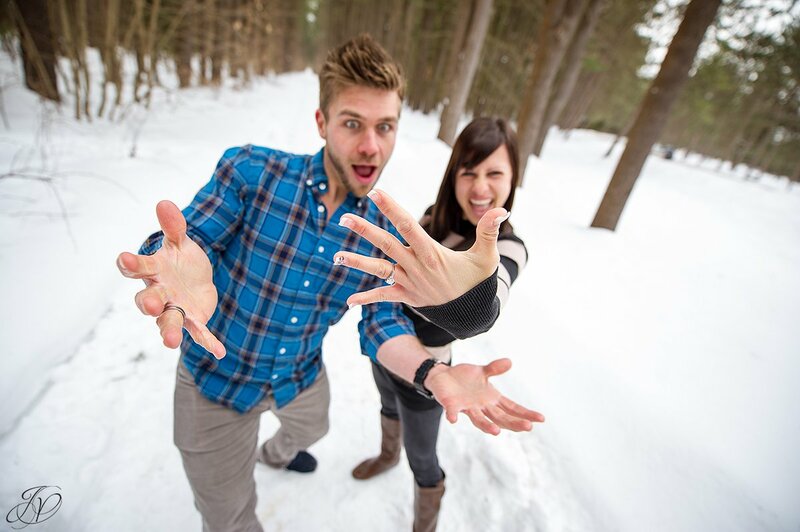 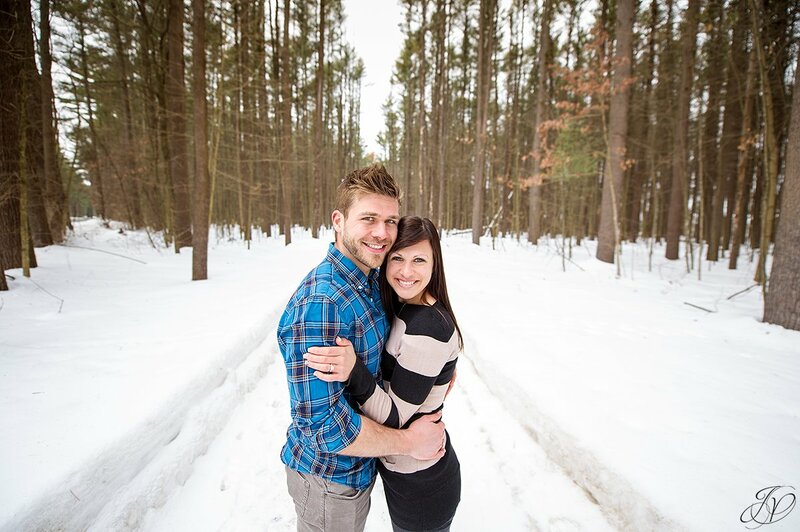 We had a great time meeting up with Emily and Brandon this past weekend for their winter engagement session. 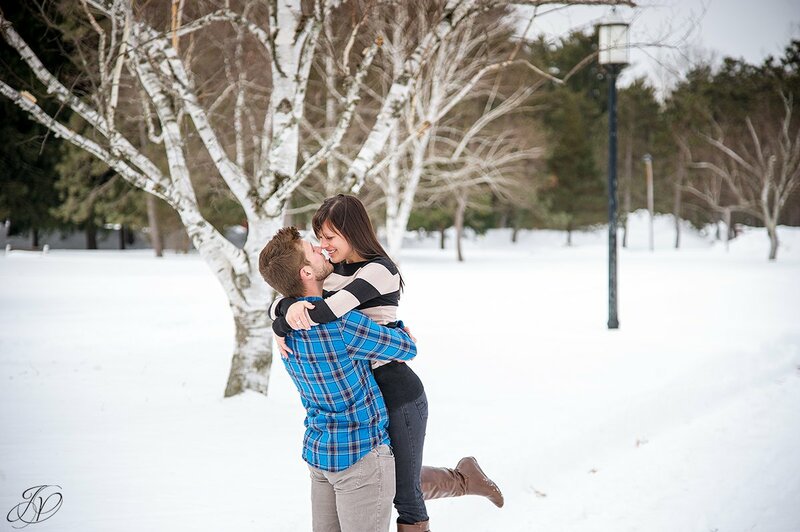 These two are so much fun - there were lots of laugh and goofy moments during this session! 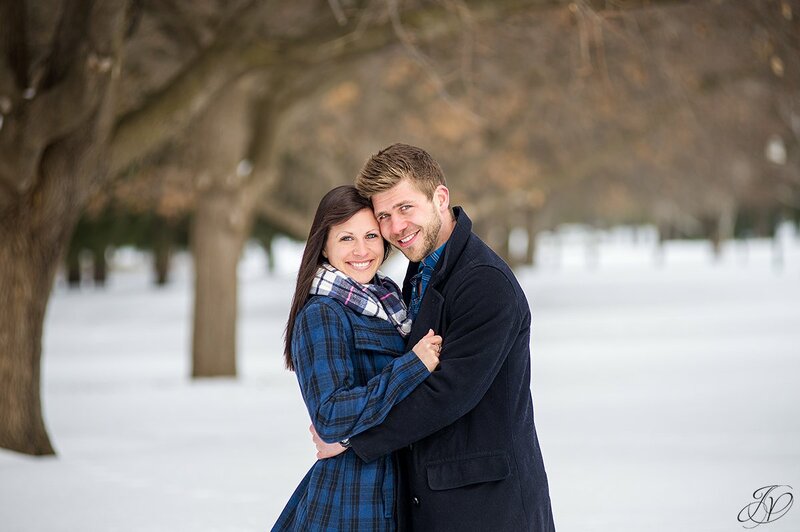 I am so excited that they are a part of our 2015 wedding season; we can't wait for their wedding this fall - let's hope it's warmer than it was this weekend, right guys?! 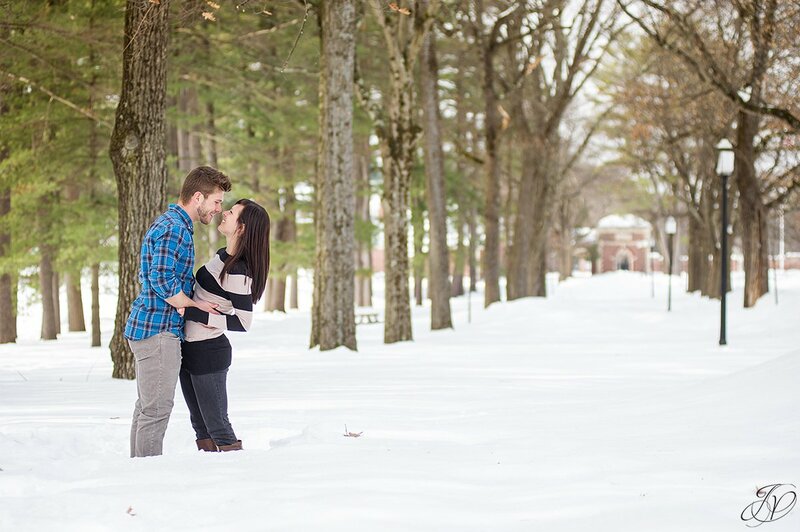 And then there was this moment... a favorite! 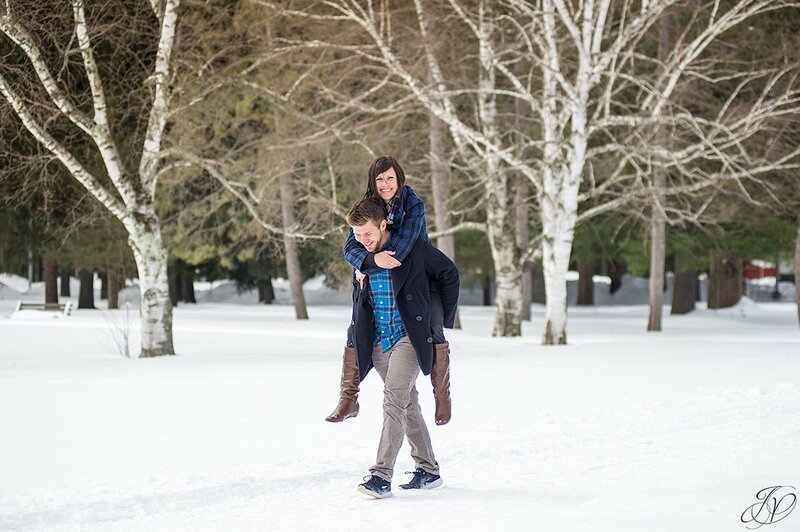 Seriously, could they be any more adorable?! 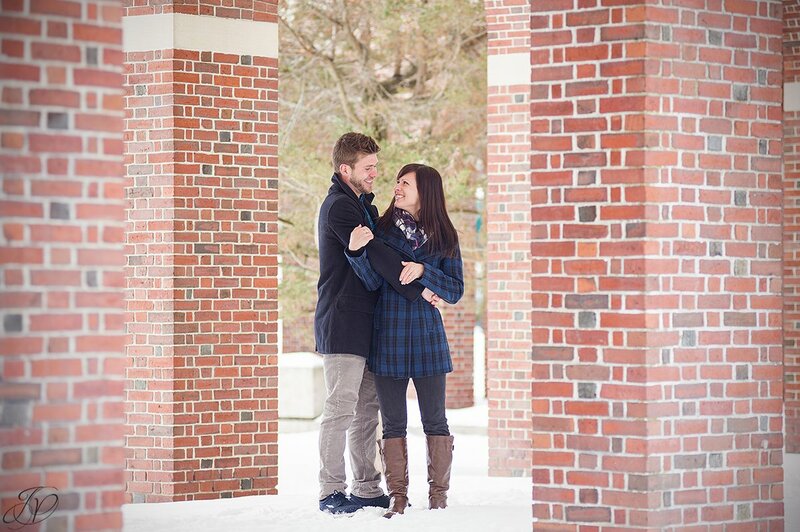 I'll end with this one, another favorite! 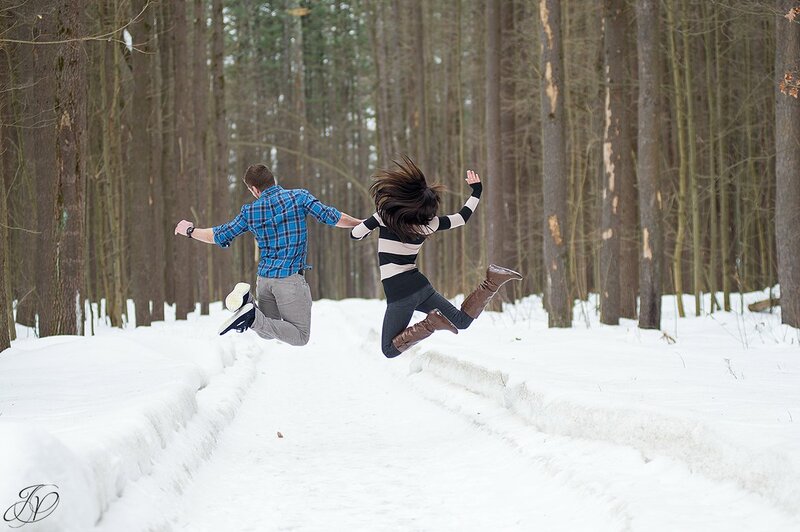 Click here if you want to see a fun little animated GIF of this moment. 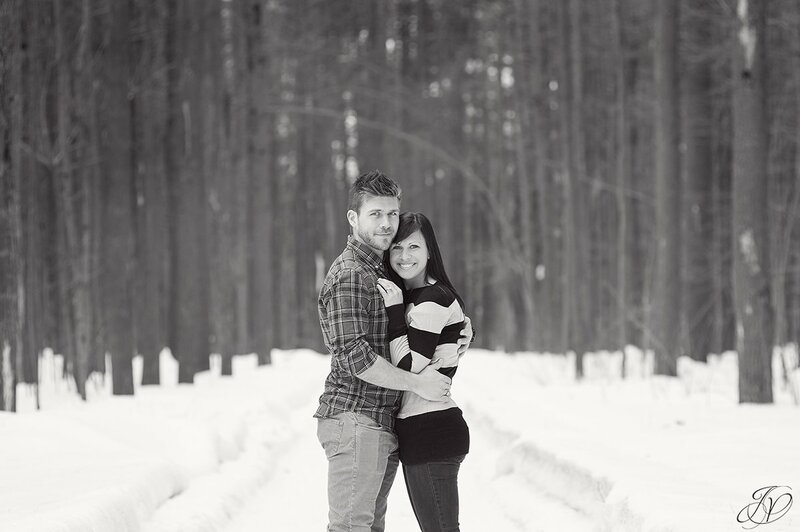 Darlane Woodworth - These wonderful photos express Emily and Brandon's personalities and love so perfectly!